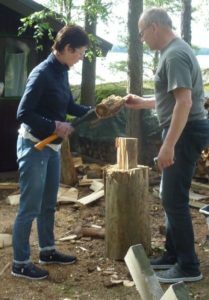 In June 2016 ten SF practitioners from 7 countries shared 4 days of living and exchanging on the island of Inkoo in Finland – a residential open space. The idea came from a hope expressed at the previous EBTA conference that the younger generation could meet with the older generation to maintain the legacy of the SF approach. From the outset the older generation wanted to resist the temptations of status, knowing that everyone who came to the summer camp would bring a rich stock of ideas and experiences. Feedback from participants confirmed that our experiment with a way for a group of SF proponents to be together over a period of time, learning from each other, sharing and developing new ideas and plans worked well. In this interactive workshop participants will see what happened, hear from some who were there about what worked, work together to explore how different contexts support the free exchange of ideas and experience and specify their own best hopes for constructing similar experiences for others. Dr. Ursula Bühlmann-Stähli, specialist in child and youth psychiatry and psychotherapy in Bern, Switzerland. Qualifications in Traditional Chinese Medicine, solution focused brief therapy, creative children’s therapy and hypnotherapy. Supervisor, coach and trainer. Member of the EBTA board. Peter Sundman, BA, social worker, clinical supervisor, coach, licenced solution-focused psychotherapy trainer, consultant. Member of the TaitoBa group in Helsinki, Finland, European Brief Therapy Association (EBTA) board member 2006-2016. 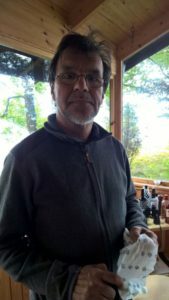 Peter is trained by the Mental Research Institute in Palo Alto and the Brief Family Therapy Institute of Milwaukee in the 1980’s. After that he collaborated with John Weakland, Karen Schlanger, Elam Nunnally, Steve De Shazer and Insoo Kim Berg for many years and became one of the pioneers, who with their support spread the solution-focused approach in Finland. Most of his work has been within the social- and health care especially in child protection and family work. Currently he is collaborating with others to define a theory for the solution-focused practice and to mentor and train the next generation of solution-focused professionals. John Wheeler is a Social Worker and Systemic Psychotherapist who has worked in child mental health for over 30 years. John has delivered training in Solution Focused Practice to a wide range of practitioners since 1993 throughout the UK and abroad. John currently works full-time as a freelance Solution Focused practitioner, trainer and supervisor. 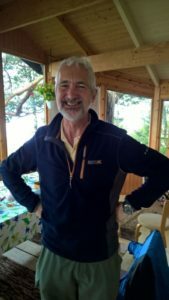 John a member of the Board of EBTA, the Editorial Board of the Journal of Solution-Focused Brief Therapy and past President of IASTI. Experience of working in a range of Social Care settings from Youth Offending Harm Reduction and Safeguarding to Strategic Management in Housing and Homelessness Prevention. 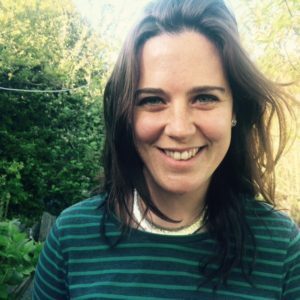 Naomi trained in Counselling, Motivational Interviewing and Cognitive Behavioural Therapy before discovering Solution Focused Practice in 2003. Naomi is also TEFL and Train the Trainer qualified, has a BA Hons in Sociology and Social Policy and a Distinction in the Level 3 SFP Certificate. She has also trained in the ILM recognised Leadership and Management Development programme. Dr. Ferdinand Wolf, Hornstein and Vienna.